The Bureau of Land Management (BLM) is an agency within the United States Department of the Interior that administers more than 247.3 million acres (1,001,000 km2) of public lands in the United States which constitutes one eighth of the landmass of the country. President Harry S. Truman created the BLM in 1946 by combining two existing agencies: the General Land Office and the Grazing Service. The agency manages the federal government's nearly 700 million acres (2,800,000 km2) of subsurface mineral estate located beneath federal, state and private lands severed from their surface rights by the Homestead Act of 1862. Most BLM public lands are located in these 12 western states: Alaska, Arizona, California, Colorado, Idaho, Montana, Nevada, New Mexico, Oregon, Utah, Washington and Wyoming. This map shows land owned by different federal government agencies. The yellow represents the Bureau of Land Management's holdings. The mission of the BLM is "to sustain the health, diversity, and productivity of the public lands for the use and enjoyment of present and future generations." Originally BLM holdings were described as "land nobody wanted" because homesteaders had passed them by. All the same, ranchers hold nearly 18,000 permits and leases for livestock grazing on 155 million acres (630,000 km2) of BLM public lands. The agency manages 221 wilderness areas, 27 national monuments and some 636 other protected areas as part of the National Conservation Lands (formerly known as the National Landscape Conservation System), totaling about 36 million acres (150,000 km2). In addition the National Conservation Lands include nearly 2,400 miles of Wild and Scenic Rivers, and nearly 6,000 miles of National Scenic and Historic Trails. There are more than 63,000 oil and gas wells on BLM public lands. Total energy leases generated approximately $5.4 billion in 2013, an amount divided among the Treasury, the states, and Native American groups. The BLM's roots go back to the Land Ordinance of 1785 and the Northwest Ordinance of 1787. These laws provided for the survey and settlement of the lands that the original 13 colonies ceded to the federal government after the American Revolution. As additional lands were acquired by the United States from Spain, France and other countries, the United States Congress directed that they be explored, surveyed, and made available for settlement. During the Revolutionary War, military bounty land was promised to soldiers who fought for the colonies. After the war, the Treaty of Paris of 1783, signed by the United States, England, France, and Spain, ceded territory to the United States. In the 1780s, other states relinquished their own claims to land in modern-day Ohio. By this time, the United States needed revenue to function. Land was sold so that the government would have money to survive. In order to sell the land, surveys needed to be conducted. The Land Ordinance of 1785 instructed a geographer to oversee this work as undertaken by a group of surveyors. The first years of surveying were completed by trial and error; once the territory of Ohio had been surveyed, a modern public land survey system had been developed. In 1812, Congress established the General Land Office as part of the Department of the Treasury to oversee the disposition of these federal lands. By the early 1800s, promised bounty land claims were finally fulfilled. Over the years, other bounty land and homestead laws were enacted to dispose of federal land. Several different types of patents existed. These include cash entry, credit, homestead, Indian, military warrants, mineral certificates, private land claims, railroads, state selections, swamps, town sites, and town lots. A system of local land offices spread throughout the territories, patenting land that was surveyed via the corresponding Office of the Surveyor General of a particular territory. This pattern gradually spread across the entire United States. The laws that spurred this system with the exception of the General Mining Law of 1872 and the Desert Land Act of 1877 have since been repealed or superseded. In the early 20th century, Congress took additional steps toward recognizing the value of the assets on public lands and directed the Executive Branch to manage activities on the remaining public lands. The Mineral Leasing Act of 1920 allowed leasing, exploration, and production of selected commodities, such as coal, oil, gas, and sodium to take place on public lands. The Taylor Grazing Act of 1934 established the United States Grazing Service to manage the public rangelands by establishment of advisory boards that set grazing fees. The Oregon and California Revested Lands Sustained Yield Management Act of 1937, commonly referred as the O&C Act, required sustained yield management of the timberlands in western Oregon. 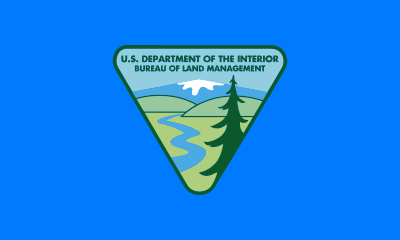 In 1946, the Grazing Service was merged with the General Land Office to form the Bureau of Land Management within the Department of the Interior. It took several years for this new agency to integrate and reorganize. In the end, the Bureau of Land Management became less focused on land disposal and more focused on the long term management and preservation of the land. The agency achieved its current form by combining offices in the western states and creating a corresponding office for lands both east of and alongside the Mississippi River. As a matter of course, the BLM's emphasis fell on activities in the western states as most of the mining, land sales, and federally owned areas are located west of the Mississippi. BLM personnel on the ground have typically been oriented toward local interests, while bureau management in Washington are led by presidential guidance. By means of the Federal Land Policy and Management Act of 1976, Congress created a more unified bureau mission and recognized the value of the remaining public lands by declaring that these lands would remain in public ownership. The law directed that these lands be managed with a view toward "multiple use" defined as "management of the public lands and their various resource values so that they are utilized in the combination that will best meet the present and future needs of the American people." Since the Reagan years of the 1980s, Republicans have often given priority to local control and to grazing, mining and petroleum production, while Democrats have more often emphasized environmental concerns even when granting mining and drilling leases. In September 1996, then President Bill Clinton used his authority under the Antiquities Act to establish the Grand Staircase-Escalante National Monument in southern Utah, the first of now 20 national monuments established on BLM lands and managed by the agency. The establishment of Grand Staircase-Escalante foreshadowed later creation of the BLM's National Landscape Conservation System in 2000. Use of the Antiquities Act authority, to the extent it effectively scuttled a coal mine to have been operated by Andalex Resources, delighted recreation and conservation enthusiasts but set up larger confrontations with state and local authorities. Most of the public lands held by the Bureau of Land Management are located in the western states. Grazing. The BLM manages livestock grazing on nearly 155 million acres (630,000 km2) million acres under the Taylor Grazing Act of 1934. The agency has granted more than 18,000 permits and leases to ranchers who graze their livestock, mostly cattle and sheep, at least part of the year on BLM public lands. Permits and leases generally cover a 10-year period and are renewable if the BLM determines that the terms and conditions of the expiring permit or lease are being met. The federal grazing fee is adjusted annually and is calculated using a formula originally set by Congress in the Public Rangelands Improvement Act of 1978. Under this formula, the grazing fee cannot fall below $1.35 per animal unit month (AUM), nor can any fee increase or decrease exceed 25 percent of the previous year's level. The grazing fee for 2014 was set at $1.35 per AUM, the same level as for 2013. Over time there has been a gradual decrease in the amount of grazing that takes place on BLM-managed land. Grazing on public lands has declined from 18.2 million AUMs in 1954 to 7.9 million AUMs in 2013. Mining. Domestic production from over 63,000 Federal "onshore" oil and gas wells on BLM lands accounts for 11 percent of the natural gas supply and five percent of the oil supply in the United States. BLM has on record a total of 290,000 mining claims under the General Mining Law of 1872. The BLM supports an all of the above energy approach, which includes oil and gas, coal, strategic minerals, and renewable energy resources such as wind, geothermal and solar—all of which may be developed on public lands and subject to free markets. This approach strengthens American energy security, supports job creation, and strengthens America's energy infrastructure. The BLM is also taking steps to make energy development on public lands easier by reviewing and streamlining it's business processes to serve industry and the American public. Even under the current administration's America first and energy independence the total mining claims on lands owned by the BLM has decreased while also the amount of rejected claims has increased. too put some context on this, the BLM oversees over 3.8 million mining claims. However, approximately 89% are closed mines with just over 10% of claims still being active. Of these active claims Nevada currently has the most at 203,705. The next closest state is California with 49,259. Coal leases. The BLM holds the coal mineral estate to more than 570 million acres (2,300,000 km2) where the owner of the surface is the federal government, a state or local government, or a private entity. As of 2013, the BLM had competitively granted 309 leases for coal mining to 474,252 acres (191,923 ha), an increase of 13,487 acres (5,458 ha) or nearly 3% increase in land subject to coal production over ten years' time. Recreation. The BLM administers 205,498 miles (330,717 km) of fishable streams, 2.2 million acres (8,900 km2) of lakes and reservoirs, 6,600 miles (10,600 km) of floatable rivers, over 500 boating access points, 69 National Back Country Byways, and 300 Watchable Wildlife sites. The agency also manages 4,500 miles (7,200 km) of National Scenic, National Historic and National Recreation Trails, as well as thousands of miles of multiple use trails used by motorcyclists, hikers, equestrians, and mountain bikers. In 2013, BLM lands received an estimated 61.7 million recreational visitors. Over 99% of BLM-managed lands are open to hunting, recreational shooting opportunities, and fishing. California Desert Conservation Area. The California Desert Conservation Area covers 25 million acres (100,000 km2) of land in southern California designated by Congress in 1976 by means of the Federal Land Policy and Management Act. BLM is charged with administering about 10 million acres (40,000 km2) of this fragile area with its potential for multiple uses in mind. Timberlands. The Bureau manages 55 million acres (220,000 km2) of forests and woodlands, including 11 million acres (45,000 km2) of commercial forest and 44 million acres (180,000 km2) of woodlands in 11 western states and Alaska. 53 million acres (210,000 km2) are productive forests and woodlands on public domain lands and 2.4 million acres (9,700 km2) are on O&C lands in western Oregon. Firefighting. Well in excess of 3,000 full-time equivalent firefighting personnel work for BLM. The agency fought 2,573 fires on BLM-managed lands in fiscal year 2013. Mineral rights on Indian lands. As part of its trust responsibilities, the BLM provides technical advice for minerals operations on 56 million acres (230,000 km2) of Indian lands. Leasing and Land Management of Split Estates. A split estate is similar to the broad form deeds used, starting in the early 1900s. It is a separation of mineral rights and surface rights on a property. The BLM manages split estates, but only in cases when the "surface rights are privately owned and the rights to the minerals are held by the Federal Government." Cadastral surveys. The BLM is the official record keeper for over 200 years' worth of cadastral survey records and plats as part of the Public Land Survey System. In addition, the Bureau still completes numerous new surveys each year, mostly in Alaska, and conducts resurveys to restore obliterated or lost original surveys. Abandoned mines. BLM maintains an inventory of known abandoned mines on the lands it manages. As of April 2014, the inventory contained nearly 46,000 sites and 85,000 other features. Approximately 23% of the sites had either been remediated, had reclamation actions planned or underway, or did not require further action. The remaining sites require further investigation. A 2008 Inspector General report alleges that BLM has for decades neglected the dangers represented by these abandoned mines. Energy corridors. Approximately 5,000 miles (8,000 km) of energy corridors for pipelines and transmission lines are located on BLM-managed lands. Helium. BLM operates the National Helium Reserve near Amarillo, Texas, a program begun in 1925 during the time of the Zeppelin Wars. Though the reserve had been set to be moved to private hands, it remains subject to oversight of the BLM under the provisions of the unanimously-passed Responsible Helium Administration and Stewardship Act of 2013. Revenue and fees. The BLM produces significant revenue for the United States budget. In 2009, public lands were expected to generate an estimated $6.2 billion in revenues, mostly from energy development. Nearly 43.5 percent of these funds are provided directly to states and counties to support roads, schools, and other community needs. Established in 2000, the National Landscape Conservation System is overseen by the BLM. The National Landscape Conservation System lands constitute just about 12% of the lands managed by the BLM. Congress passed Title II of the Omnibus Public Land Management Act of 2009 (Public Law 111-11) to make the system a permanent part of the public lands protection system in the United States. By designating these areas for conservation, the law directed the BLM to ensure these places are protected for future generations, similar to national parks and wildlife refuges. Lightning-sparked wildfires are frequent occurrences on BLM land in Nevada. The BLM, through its Office of Law Enforcement & Security, functions as a federal law enforcement agency of the United States Government. BLM law enforcement rangers and special agents receive their training through Federal Law Enforcement Training Centers (FLETC). Full-time staffing for these positions approaches 300. Uniformed rangers enforce laws and regulations governing BLM lands and resources. As part of that mission, these BLM rangers carry firearms, defensive equipment, make arrests, execute search warrants, complete reports and testify in court. They seek to establish a regular and recurring presence on a vast amount of public lands, roads and recreation sites. They focus on the protection of natural and cultural resources, other BLM employees and visitors. Given the many locations of BLM public lands, these rangers use canines, helicopters, snowmobiles, dirt bikes and boats to perform their duties. By contrast BLM special agents are criminal investigators who plan and conduct investigations concerning possible violations of criminal and administrative provisions of the BLM and other statutes under the United States Code. Special agents are normally plain clothes officers who carry concealed firearms, and other defensive equipment, make arrests, carry out complex criminal investigations, present cases for prosecution to local United States Attorneys and prepare investigative reports. Criminal investigators occasionally conduct internal and civil claim investigations. The BLM manages free-roaming horses and burros on public lands in ten western states. Though they are feral, the agency is obligated to protect them under the Wild and Free-Roaming Horses and Burros Act of 1971 (WFRHBA). As the horses have few natural predators, populations have grown substantially. WFRHBA as enacted provides for the removal of excess animals; the destruction of lame, old, or sick animals; the private placement or adoption of excess animals; and even the destruction of healthy animals if range management required it. In fact, the destruction of healthy or unhealthy horses has almost never occurred. Pursuant to the Public Rangelands Improvement Act of 1978, the BLM has established 179 "herd management areas" (HMAs) covering 31.6 million acres (128,000 km2) acres where feral horses can be found on federal lands. In 1973, BLM began a pilot project on the Pryor Mountains Wild Horse Range known as the Adopt-A-Horse initiative. The program took advantage of provisions in the WFRHBA to allow private "qualified" individuals to "adopt" as many horses as they wanted if they could show that they could provide adequate care for the animals. At the time, title to the horses remained permanently with the federal government. The pilot project was so successful that BLM allowed it to go nationwide in 1976. The Adopt-a-Horse program quickly became the primary method of removing excess feral horses from BLM land given the lack of other viable methods. The BLM also uses limited amounts of contraceptives in the herd, in the form of PZP vaccinations; advocates say that additional use of these vaccines would help to diminish the excess number of horses currently under BLM management. Despite the early successes of the adoption program, the BLM has struggled to maintain acceptable herd levels, as without natural predators, herd sizes can double every four years. As of 2014, there were more than 49,000 horses and burros on BLM-managed land, exceeding the BLM's estimated "appropriate management level" (AML) by almost 22,500. The Bureau of Land Management has implemented several programs and has developed partnerships as part of their management plan for preserving wild burros and horses in the United States. There are several herds of horses and burros roaming free on 26.9 million acres of range spread out in ten western states. It is essential to maintain a balance that keeps herd management land and animal population healthy. Some programs and partnerships include the Mustang Heritage Foundation, U.S. Border Patrol, Idaho 4H, Napa Mustang Days and Little Book Cliffs Darting Team. These partnerships help with adoption and animal population as well as education and raising awareness about wild horses and burros. In 2009, BLM opened Renewable Energy Coordination Offices in order to approve and oversee wind, solar, biomass, and geothermal projects on BLM-managed lands. The offices were located in the four states where energy companies had shown the greatest interest in renewable energy development: Arizona, California, Nevada, and Wyoming. Solar energy. In 2010, BLM approved the first utility-scale solar energy projects on public land. As of 2014, 70 solar energy projects covering 560,000 acres (2,300 km2) had been proposed on public lands managed by BLM primarily located in Arizona, California, and Nevada. To date, it has approved 29 projects that have the potential to generate 8,786 megawatts of renewable energy or enough energy to power roughly 2.6 million homes. The projects range in size from a 45-megawatt photovoltaic system on 422 acres (171 ha) to a 1,000-megawatt parabolic trough system on 7,025 acres (2,843 ha). Wind energy. BLM manages 20.6 million acres (83,000 km2) of public lands with wind potential. It has authorized 39 wind energy development projects with a total approved capacity of 5,557 megawatts or enough to supply the power needs of over 1.5 million homes. In addition, BLM has authorized over 100 wind energy testing sites. Geothermal energy. BLM manages 59 geothermal leases in producing status, with a total capacity of 1,500 megawatts. This amounts to over 40 percent of the geothermal energy capacity in the United States. Biomass and bioenergy. Its large portfolio of productive timberlands leaves BLM with woody biomass among its line of forest products. The biomass is composed of "smaller diameter materials" and other debris that result from timber production and forest management. Though the use of these materials as a renewable resource is nascent, the agency is engaged in pilot projects to increase the use of its biomass supplies in bioenergy programs. ^ a b "BLM Budget Highlights" (PDF). BLM. Retrieved 15 November 2014. ^ "Public Land Statistics". BLM. Retrieved 15 November 2014. ^ a b Elliott, Clayton R. (August 2010). Innovation in the U.S. Bureau of Land Management: Insights from Integrating Mule Deer Management with Oil and Gas Leasing (Masters Thesis). University of Montana. pp. 42–51. Retrieved 14 November 2014. ^ a b "History of the BLM: Yesterday and Today". BLM California. Archived from the original on 2014-11-27. Retrieved 15 November 2014. ^ "The Bureau of Land Management: Who We Are, What We Do". BLM. Archived from the original on 2014-11-27. Retrieved 15 November 2014. ^ "Fact Sheet on the BLM's Management of Livestock Grazing". BLM. Archived from the original on 2014-11-29. Retrieved 15 November 2014. ^ a b "National Conservation Lands". BLM. Archived from the original on 2016-11-22. Retrieved 15 November 2014. ^ "Programs: National Conservation Lands: Wild and Scenic Rivers | BUREAU OF LAND MANAGEMENT". www.blm.gov. Retrieved 2017-10-10. ^ "Programs: National Conservation Lands: National Scenic and Historic Trails | BUREAU OF LAND MANAGEMENT". www.blm.gov. Retrieved 2017-10-10. ^ See Part 3 of the BLM's Public Land Statistics, "Commercial Uses and Revenue Generated"
^ "Oil and Gas". BLM. Archived from the original on 2014-11-27. Retrieved 15 November 2014. ^ "New Energy for America". BLM. Archived from the original on 2015-02-06. Retrieved 15 November 2014. ^ a b c d e "The BLM: The Agency and its History". GPO. Retrieved 14 November 2014. ^ "Revolutionary War Pension and Bounty-Land-Warrant Application Files (p. 7)" (PDF). National Archives and Records Administration (1974). Retrieved 14 November 2014. ^ a b A History of the Rectangular Survey System by C. Albert White, 1983, Pub: Washington, D.C.: U.S. Dept. of the Interior, Bureau of Land Management: For sale by G.P.O. ^ a b White, C. Albert (1991). A history of the rectangular survey system. Washington, DC: Government Printing Office. ^ a b "Revolutionary War Pension and Bounty-Land-Warrant Application Files (p. 3)" (PDF). National Archives and Records Administration (1974). Retrieved 14 November 2014. ^ a b c "Records of the Bureau of Land Management [BLM] (Record Group 49) 1685–1993 (bulk 1770–1982)". National Archives and Records Administration. Retrieved 14 November 2014. ^ a b c d "BLM and Its Predecessors: A Long and Varied History". BLM. Archived from the original on 2014-11-26. Retrieved 14 November 2014. ^ "Mineral Leasing Act of 1920 As Amended" (PDF). BLM. Retrieved 14 November 2014. ^ Elliott, Clayton R. (August 2010). Innovation in the U.S. Bureau of Land Management: Insights from Integrating Mule Deer Management with Oil and Gas Leasing (Masters Thesis). University of Montana. p. 45. Retrieved 14 November 2014. ^ "O&C Sustained Yield Act: the Law, the Land, the Legacy" (PDF). Bureau of Land Management. Retrieved March 6, 2012. ^ James, Muhn (September 1988). Opportunity and Challenge: The Story of BLM. Denver: BLM. p. 52. Retrieved 14 November 2014. ^ James, Muhn (September 1988). Opportunity and Challenge: The Story of BLM. Denver: BLM. pp. 160–172. Retrieved 14 November 2014. ^ James, Muhn (September 1988). Opportunity and Challenge: The Story of BLM. Denver: BLM. pp. 104–106. Retrieved 14 November 2014. ^ Elliott, Clayton R. (August 2010). Innovation in the U.S. Bureau of Land Management: Insights from Integrating Mule Deer Management with Oil and Gas Leasing (Masters Thesis). University of Montana. pp. 5, 51–52. Retrieved 14 November 2014. ^ "43 U.S. Code § 1702(c)". Legal Information Institute. Retrieved 14 November 2014. ^ Mathew Barrett Gross (2002-02-13). "San Rafael Swell monument proposal could prove that Bush realizes the importance of a fair and public process". Headwaters News, University of Montana. Archived from the original on 2007-11-26. Retrieved 2008-01-16. ^ Davidson, Lee (Sep 27, 1996). "Orton's bill would erase power to declare permanent monument". Deseret News. ^ "Western States Data Public Land Acreage (Forest Service & BLM) from November 13, 2007". Archived from the original on 2011-08-24. Retrieved 2008-03-07. ^ a b c d e f g h "Fact Sheet on the BLM's Management of Livestock Grazing". BLM. Archived from the original on 2014-11-29. Retrieved 16 November 2014. ^ An AUM is the amount of forage needed to sustain one cow and her calf, one horse, or five sheep or goats for a month. ^ "Oil and Gas". BLM. Archived from the original on 2014-11-27. Retrieved 19 November 2014. ^ "Mining Laws". BLM. Archived from the original on 2014-11-29. Retrieved 2014-11-19. ^ "Programs: Energy and Minerals". www.blm.gov. 17 August 2016. ^ "Bureau of Land Management Administrative Areas". The Diggings™. ^ a b "Total Federal Coal Leases in Effect, Total Acres Under Lease, and Lease Sales by Fiscal Year Since 1990". BLM. Archived from the original on 2014-11-28. Retrieved 16 November 2014. ^ a b "Senate Report 106-491 – OUTFITTER POLICY ACT OF 1999". congress.gov/. Library of Congress. Retrieved 15 November 2014. ^ a b "PUBLIC LAND STATISTICS 2013 Volume 198" (PDF). BLM. Archived from the original (PDF) on 2014-11-28. Retrieved 15 November 2014. ^ a b "IntIntroduction: The California Desert Conservation Area (CDCA)". BLM. Archived from the original on 2014-11-29. Retrieved 19 November 2014. ^ a b "BLM PUBLIC DOMAIN LANDS: Volume of Timber Offered for Sale Has Declined Substantially Since Fiscal Year 1990" (PDF). GAO. Retrieved 15 November 2014. ^ "2014 National and State Fire Preparedness Program Summaries" (PDF). BLM. Archived from the original (PDF) on 2014-11-29. Retrieved 18 November 2014. ^ "Mineral and Surface Acreage Managed by the BLM". BLM. Archived from the original on 2016-11-16. Retrieved 2018-12-05. ^ "LEASING AND MANAGEMENT OF SPLIT ESTATE". Bureau of Land Management. ^ a b "Cadastral History". BLM. Archived from the original on 2014-11-13. Retrieved 19 November 2014. ^ a b c "Abandoned Mine Lands". BLM. Archived from the original on 2014-11-29. Retrieved 19 November 2014. ^ "Abandoned Mine Lands in the Department of the Interior" (PDF). Department of the Interior IG. Retrieved 19 November 2014. ^ a b c "US Department of Energy, Bureau of Land Management to Establish Renewable Energy Offices, January 21, 2009". ^ a b Krule, Miriam. "Our Government May Be Shut Down, but at Least Our Helium Reserve Won't Be ... for Now". slate.com. Slate. Retrieved 2014-11-18. ^ Collins, Gail (3 May 2013). "Opinion - An Ode to Helium" – via NYTimes.com. ^ a b c "Statement of Henri Bisson, Deputy Director Bureau of Land Management U.S. Department of the Interior Before the House Appropriations Committee Subcommittee on Interior, Environment, and Related Agencies Hearing on the FY 2009 Budget Request of the Bureau of Land Management February 27, 2008" (PDF). Department of the Interior. Retrieved 15 November 2014. ^ a b c d "National Landscape Conservation System". The Wilderness Society. Archived from the original on 2014-11-30. Retrieved 18 November 2014. ^ "H.R. 146 (111th): Omnibus Public Land Management Act of 2009". Govtrack.us. Retrieved 18 November 2014. ^ "Resources and Statistics". BLM. Archived from the original on 2014-11-29. Retrieved 18 November 2014. ^ "BLM Law Enforcement: Protecting Public Land Resources" (PDF). BLM. Archived from the original (PDF) on 2014-11-28. Retrieved 16 November 2014. ^ "BLM Law Enforcement". Archived from the original on 2014-11-28. Retrieved 16 November 2014. ^ a b c d "BLM Rangers". BLM. Archived from the original on 2014-11-28. Retrieved 16 November 2014. ^ a b c "BLM Special Agents". BLM. Archived from the original on 2014-11-28. Retrieved 16 November 2014. ^ a b c d e f "Wild Horse and Burro Quick Facts". BLM. Archived from the original on 2016-01-31. Retrieved 16 November 2014. ^ Roberto, Iraola (Fall 2005). "The Wild Free-Roaming Horses and Burros Act of 1971". Environmental Law. Lewis & Clark Law School. 35: 1049–1079. Retrieved 16 November 2014. ^ a b Sterba, James P. "Revived Killing of Wild Horses for Pet Food Is Feared." New York Times. August 3, 1974. ^ Using Science to Improve the BLM Wild Horse and Burro Program: A Way Forward (PDF). National Academy of Sciences. p. 16. Retrieved 16 November 2014. ^ a b Glover, Kristen H. "Managing Wild Horses on Public Lands: Congressional Action and Agency Response." North Carolina Law Review. 79:1108 (May 2001). ^ Raia, Pat (March 1, 2009). "BLM Horses: What's Their Future." The Horse. Accessed 2013-09-20. ^ "Programs: Wild Horse and Burro | BUREAU OF LAND MANAGEMENT." BLM.gov Home Page | BUREAU OF LAND MANAGEMENT, www.blm.gov/programs/wild-horse-and-burro. Accessed 27 Apr. 2017. ^ Friedman, Gabe (August 6, 2014). "Sun Land". The New Yorker. Retrieved 18 November 2014. ^ a b c "BLM Fact Sheet: Renewable Energy: Solar" (PDF). BLM. Archived from the original (PDF) on 2014-11-29. Retrieved 18 November 2014. ^ "New Energy for America". BLM. Archived from the original on 2014-11-21. Retrieved 18 November 2014. ^ "Wind Energy". BLM. Archived from the original on 2014-11-29. Retrieved 18 November 2014. ^ "RENEWABLE ENERGY: Agencies Have Taken Steps Aimed at Improving the Permitting Process for Development on Federal Lands" (PDF). GAO Reports. GAO-13-189: 6. January 2013. Retrieved 18 November 2014. ^ a b "Geothermal Energy". BLM. Archived from the original on 2014-11-29. Retrieved 18 November 2014. ^ a b c "Woody Biomass and Bioenergy". BLM. Archived from the original on 2014-11-29. Retrieved 18 November 2014. ^ "Historical Record of the Offices, Managers and Organizations of the U.S. Bureau of Land Management, Grazing Service, General Land Office and O & C Revested Lands Administration 1934–2012" (PDF). Public Lands Foundation. April 2012. p. 16. ^ Burr, Thomas (2017-03-15). "Interior names energy and mineral chief new acting BLM director". Salt Lake Tribune. United States. Congress. Senate. BLM Permit Processing: Hearing before the Committee on Energy and Natural Resources, United States Senate, One Hundred Thirteenth Congress, Second Session . . . July 29, 2014. Washington, DC: U.S. Government Printing Office, 2014. Agua Fria National Monument is in the U.S. state of Arizona, approximately 40 miles (65 km) north of downtown Phoenix, Arizona. Created by Presidential proclamation on January 11, 2000, the 72,344-acre (113 sq mi; 293 km2) monument is managed by the Bureau of Land Management, an agency within the U.S. Department of the Interior. The Bureau of Land Management already managed the lands; however, under monument status the level of protection and preservation of resources within the new monument have been enhanced. The monument is a unit of the BLM's National Landscape Conservation System. Over 450 distinct Native American structures have been recorded in the monument, some of large pueblos containing more than 100 rooms each. The enhanced protection status also provides greater habitat protection for the numerous plant and animal communities. The Bonneville Salt Flats is a densely packed salt pan in Tooele County in northwestern Utah. The area is a remnant of the Pleistocene Lake Bonneville and is the largest of many salt flats located west of the Great Salt Lake. The property is public land managed by the Bureau of Land Management and is known for land speed records at the "Bonneville Speedway". Access to the flats is open to the public. Browns Canyon National Monument is a 21,586 acres (33.7 sq mi; 87.4 km2) national monument in Chaffee County, Colorado that was designated as such by President Barack Obama under the Antiquities Act on February 19, 2015. The site will be centered along the Arkansas River between Buena Vista and Salida. Browns Canyon is the most popular destination for whitewater rafting in the country, and is also known for its fishing and hiking. The monument will provide habitat protection for bighorn sheep, peregrine falcons, elk, and golden eagles.Designation of the monument was requested by numerous Colorado lawmakers, including Senators Michael Bennet and Mark Udall, Representative Joel Hefley and Governor John Hickenlooper. It was opposed by Representatives Ken Buck and Doug Lamborn, who objected to the president's use of executive action in declaring the monument. Lamborn also objected to the effect that the monument's creation would have on grazing, mineral and water rights; in response the White House stated that the designation would honor "valid and existing rights, but withdraws the area from future mineral leasing." The monument will be run jointly by the Bureau of Land Management and United States Forest Service. The California Coastal National Monument is located along the entire coastline of the U.S. state of California. This monument ensures the protection of all islets, reefs and rock outcroppings along the coast of California within 12 nautical miles (22 km) of shore along the entire 840-mile (1,350 km) long coastline. Conservative estimates are for at least 20,000 such outcroppings. The monument was created from Bill Clinton by Presidential proclamation on January 11, 2000 with the authority in section two of the Antiquities Act of 1906. As of 2014, the monument has expanded to 2,272 acres (919 ha). The U.S. Bureau of Land Management, an agency of the U.S. Department of the Interior that manages the monument, has developed gateways in cooperation with other agencies along the California coast to introduce the monument to the public. These include the Trinidad Gateway, Point Arena Gateway, Fort Bragg-Mendocino Gateway, Pigeon Point Gateway, Piedras Blancas-San Simeon Gateway, and Palos Verdes Peninsula Gateway. The California Coastal National Monument is one of the most-viewed national monuments in California although people are usually not aware that they are viewing a national monument. Canyons of the Ancients National Monument is a national monument protecting an archaeologically-significant landscape located in the southwestern region of the U.S. state of Colorado. The monument's 176,056 acres (71,247 ha) are managed by the Bureau of Land Management, as directed in the Presidential proclamation which created the site on June 9, 2000. Canyons of the Ancients National Monument is part of the National Landscape Conservation System, better known as the National Conservation Lands. This system comprises 32 million acres managed by the Bureau of Land Management to conserve, protect, and restore these nationally significant landscapes recognized for their outstanding cultural, ecological, and scientific values. Canyons of the Ancients encompasses and surrounds three of the four separate sections of Hovenweep National Monument, which is administered by the National Park Service. The monument was proclaimed in order to preserve the largest concentration of archaeological sites in the United States, primarily Ancestral Puebloan ruins. As of 2005, over 6,000 individual archeological sites had been identified within the monument. The Dominguez-Escalante National Conservation Area is a 209,610-acre (848.3 km2) National Conservation Area located in western Colorado southeast of Grand Junction and northwest of Montrose. It is managed by the Bureau of Land Management (BLM), and was created as part of the Omnibus Public Land Management Act of 2009. In 2009 66,280 acres (26,820 ha) were also designated as the Dominguez Canyon Wilderness. The Dominguez-Escalante National Conservation Area (NCA) encompasses canyons along the Uncompahgre Plateau along the Gunnison River. The southwest side of the NCA borders Uncompahgre National Forest. There are several trails and campsites in the NCA. Grand Canyon-Parashant National Monument (sometimes referred to as Parashant National Monument) is located on the northern edge of the Grand Canyon in northwest Arizona. The monument was established by Presidential Proclamation 7265 on January 11, 2000. The Grand Staircase-Escalante National Monument (GSENM) is a United States national monument that originally designated 1,880,461 acres (7,610 km2) of protected land in southern Utah in 1996. The monument's size was later reduced by a succeeding presidential proclamation in 2017. The land is among the most remote in the country; it was the last to be mapped in the contiguous United States.There are three main regions: the Grand Staircase, the Kaiparowits Plateau, and the Canyons of the Escalante (Escalante River). All regions are administered by the Bureau of Land Management (BLM) as part of the National Conservation Lands system. President Bill Clinton designated the area as a national monument in 1996 using his authority under the Antiquities Act. Grand Staircase-Escalante is the largest national monument managed by the BLM. On December 4, 2017, President Donald Trump ordered that the monument's size be reduced by nearly 47 percent to 1,003,863 acres (4,062 km2), with the remainder broken up into three separate areas, two of which border one another along the Paria River. Conservation, angling, hunting, and outdoor recreation groups have filed suit to block any reduction in the national monument, arguing that the president has no legal authority to materially shrink a national monument. The Gunnison Gorge National Conservation Area is a 62,844-acre (254.32 km2) National Conservation Area located in west-central Colorado near Montrose. It is managed by the Bureau of Land Management (BLM) as part of the National Landscape Conservation System. 57,725 acres (233.60 km2) were designated in the Black Canyon of the Gunnison National Park and Gunnison Gorge National Conservation Area Act of 1999 (Public Law 106-76). The Black Canyon of the Gunnison Boundary Revision Act of 2003 (PL 108-78) expanded the NCA to its current size. The Kokopelli's Trail is a 142-mile (229 km) multi-use trail in the Western U.S. states of Colorado and Utah. The trail was named in honor of its mythic muse, Kokopelli. The trail was created by the Colorado Plateau Mountain Bike Trail Association (COPMOBA) in cooperation with the United States Bureau of Land Management (BLM) and the United States Forest Service (NFS) in 1989. Mojave Trails National Monument is a large U.S. National Monument located in the state of California between Interstates 15 and 40. It partially surrounds the Mojave National Preserve. It was designated by President Obama on February 12, 2016 along with Castle Mountains National Monument and Sand to Snow National Monument. It is under the control of the Bureau of Land Management. National Conservation Area is a designation for certain protected areas in the United States. They are nature conservation areas managed by the Bureau of Land Management (BLM) under the National Landscape Conservation System. In the United States, a national monument is a protected area that is similar to a national park, but can be created from any land owned or controlled by the federal government by proclamation of the President of the United States. National monuments can be managed by one of several federal agencies: the National Park Service, United States Forest Service, United States Fish and Wildlife Service, the Bureau of Land Management, or the National Oceanic and Atmospheric Administration (in the case of marine national monuments). Historically, some national monuments were managed by the War Department.National monuments can be so designated through the power of the Antiquities Act of 1906. President Theodore Roosevelt used the act to declare Devils Tower in Wyoming as the first U.S. national monument. Raven Ridge is a starkly visible sedimentary rock exposure located in Rio Blanco County, Colorado and Uintah County, Utah, USA. It is managed by the Bureau of Land Management. The ridge contains a diverse selection of rare plants unique to the state of Colorado. Recapture Canyon is a canyon along Recapture Creek (a tributary of the San Juan River) east of Blanding, San Juan County, Utah, United States. It is an archaeological site, and is located on federal land. The Bureau of Land Management closed it to motorized vehicles in 2007 due to damage caused by illegal trail construction.Recapture Canyon contains dwellings, burial sites, and artifacts of the Ancient Pueblo peoples, including cliff dwellings built between 1150 and 1300 AD.On Saturday May 10, 2014, San Juan County Commissioner Phil Lyman organized a protest aimed at legally opening the trail to all-terrain vehicles. The protest attracted several militia members from the Bundy ranch. BLM undercover agents documented the illegal ride and are investigating potential damage to archaeological resources. The Rice Valley Wilderness is a wilderness area near Blythe and Rice in the Mojave Desert region of California, managed by the Bureau of Land Management.The 41,777-acre wilderness includes portions of the Big Maria Mountains, along with a stretch of sand dunes that is part of one of the state's largest dune systems. Congress designated the area as part of the 1994 California Desert Protection Act. The Riverside Mountains are a mountain range in Riverside County, California. The town of Vidal, California is located in the West Riverside Mountains. Sisyphus Shelter is an archaeological site that was uncovered in Colorado when the Colorado Department of Highways was working on I-70. The excavation of this site became a joint project between the Colorado Department of Highways and the Bureau of Land Management. Fieldwork on the site was completed in 1980. Archaeologists John Gooding and Wm. Lane Shields as well as many others completed the excavation and prepared a comprehensive site report. Over the course of the fieldwork on Sisyphus Shelter, twenty-six features of human origin were discovered as well as numerous stone artifacts and two perishable items. The artifacts appeared to be all Late Archaic in origin. Dating indicated a range of occupations from modern times to 4400 B.P. being the oldest sample. Gooding and Shields (1985) suggest that the occupations of the shelter were not consistent and affected by seasonal changes. National Forest is a classification of protected and managed federal lands in the United States. National Forests are largely forest and woodland areas owned collectively by the American people through the federal government, and managed by the United States Forest Service, a division of the United States Department of Agriculture.